Photo (top) shows an FD 2 under assembly at the Heaton Chapel factory. This (bottom) is the Fairey Delta 2, preserved in the RAF Museum at Cosford. December 2007. Workers fitting bodywork to the chassis of double decker buses at the Crossley Motor works. McVitie & Price biscuit factory - unlike Crossley's, still (2014) in business on the same site and periodically emitting delicious scents of baking biscuits. Cringle Road, Levenshulme, off the A6 Stockport Road/ Wellington Road North. Finished bus outside ready for delivery. The central doors on the right hand side indicate a bus for the continent. The image of a 1948 "Dutch Railways" bus is from: http://web.archive.org/web/20140628113617/http: //transpressnz.blogspot.com/2011/05/ 1948-crossley-bus.html Copyright image, used with consent given on the quoted website, commercial use not permitted. "NS = Nederlandse Spoorwegen (Dutch Railways)." Four track railway line - former LMS To the north lies Levenshulme Station and then Manchester Piccadilly. To the south lies Heaton Chapel station and then Stockport. From Stockport lines diverge to Buxton, Crewe, Stafford and London. The goods sidings seen here no longer exist. Crossley Motors bus made in Stockport. Image licensed under Creative Commons Attribution Licence, photographer Stephen Shaw. This site has a slightly confusing occupation history, having been used for many years by two engineering companies, first one, then jointly, then the other, then again jointly.... in general terms the long buildings running alongside the railway were for aircraft manufacture whilst the buildings at the back set at a slight angle were the Motor Car works, later building large engines for eg lorries and buses. The Manchester-Stockport boundary runs along the Northern and Western site boundary - the entire site is in Stockport. The railway is the LMS London-Manchester line, with junctions at Stockport leading to Buxton, Crewe and Stafford. The sidings alongside the works are no longer in place. Crossley, founded in 1897 to make small steam engines etc, started to make cars in Gorton in 1906. In 1869 they obtained world (except German) rights to the engines of Otto and Langden, Cologne (gas fuelled atmospheric internal combustion engine; Otto four stroke cycle engine). In 1896 Crossley obtained rights to the Diesel system (ignition by compression heat). Crossley also made petrol engines which were used eg in 1905 in Leyland buses. In 1914 Crossley Brothers moved to this "greenfield site" and started to build cars as Crossley Motors. In 1917, In WW1, the Western part of the site, became "National Aircraft Factory No 2", government owned but Crossley managed. The road formerly called High Lane became (and remains) Crossley Road. 2500 people were employed on the 15 acre site where de Havilland DH9 and DH10 bombers started their lives. This part of the site was purchased from the Government in 1919 by Crossley who used it to make Willys Overland vehicles. This section was then sold to Fairey in 1934. For a short period part of Cringle Fields was used as a landing strip but aircraft usually left by road. The first aircraft DH9 serial D1001 left 16/3/1918. Until November 1918, 300 planes per month left the site, which then turned to Crossley and Willys vehicles production. 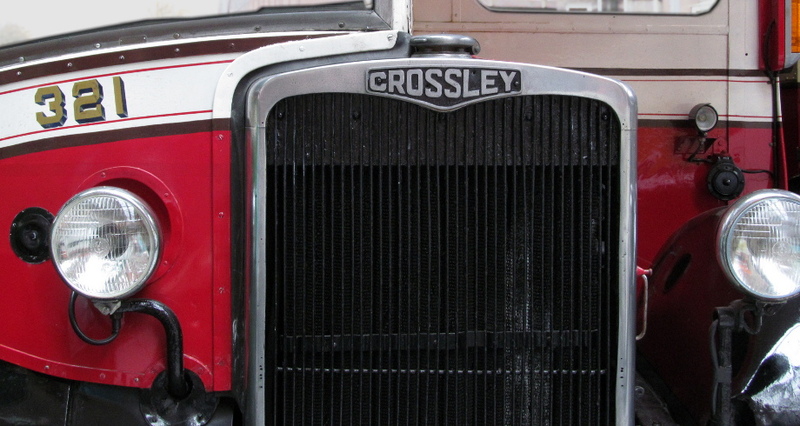 Crossley vehicles (chassis) were produced on the site until 1952, and then until 1958, badge engineered AEC designs (bodywork). Up to 1938, Crossley Motors made 19,000 cars, up to 1958 they had made 5,500 buses and 21,000 goods and military vehicles. In 1934 Fairey moved into the Aircraft side and many bombers and fighter aircraft started life here. The main Fairey works was in Hayes, Middlesex, but they needed greater capacity. The Fairey Brass Band was started in 1936 on this site and still call it their home. Aircraft were now taken by road to a new aerodrome at Ringway which opened in March 1936. It is claimed that a plane from Heaton Chapel, a Battle K9293 shot down the first Messerschmitt, over France. Planes from Heaton Chapel included 1171 Battles, over 600 Fulmars, 500 Bristol Beaufighters, and over 660 Handley Page Halifax bombers. Following this came over 1000 Barracuda (used against the Tirpitz in 1944), then Fairey Firefly and Gannet. Fireflash missiles were made here. A Fairey FD2 was built at Heaton Chapel. The FD2 plane was used to break speed records by Peter Twiss (1132 mph, held for two years) and was used as a test bed in the development concepts for Concorde. In 1938 the Eastern part of the site (alongside the railway) also became used for aircraft production, managed by Fairey. This part reverted to Crossley Motors at the end of WW2. In 1944 the Air Ministry requisitioned the Hayes site - later to be used for Heathrow Airport. Heathrow passengers may sometimes be on land taken from Fairey. In 1948 Crossley Motors was sold to AEC (Associated Equipment Company). Aircraft production at Heaton Chapel ceased in 1960 when the government reorganised aircraft production in the national interests with Fairey Aviation passing to Westland Helicopters. 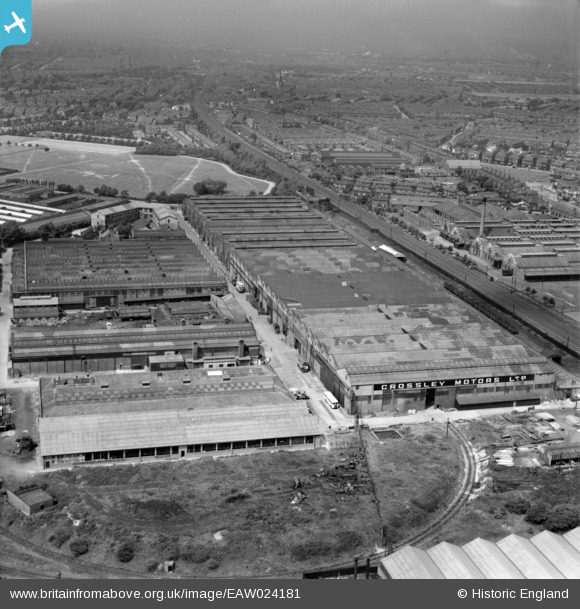 The Heaton Chapel site became Fairey Engineering, producing bridges and structures for the nuclear industry. In 1964 at last Fairey received compensation for the Hayes requisition but too little too late, especially with the loss of the aircraft business, and in 1977 receivers were called in. 1977-1980 Fairey was essentially nationalised operated by the National Enterprise Board. 1980-1986 Fairey was owned by a none too obvious company, Royal Doulton, famed for their pottery. From 1986 Fairey became a part of Williams Holdings. Williams Fairey was subject to a management buyout in 2006. The site along the railway became a light industry park, with two small bus companies using it as a depot, and numerous light industries. St John's Ambulance Brigade North West HQ are also now on the site. The Fairey Band still have their band room on the site, although they are now self financing.